THQ Nordic today announced that hack-and-slash adventure Darksiders III is currently in development for PC and Xbox One, and is slated for release in 2018. “As promised, we have taken our time to ensure that this next Darksiders will be everything action-adventure gamers and especially Darksiders loyalists could dream of and more,” said Lars Wingefors, THQ Nordic’s co-founder and group CEO. Return to an apocalyptic planet Earth in Darksiders III, where players take on the role of Fury in her quest to hunt down and dispose of the Seven Deadly Sins. The Charred Council calls upon Fury to battle from the heights of Heaven down through the depths of Hell in a quest to restore humanity and prove that she is the most powerful of the Horsemen. As a mage, Fury relies on her whip and magic to restore the balance between good and evil. The expansive, Darksiders III game world is presented as an open-ended, living, free-form planet Earth that is dilapidated by war and decay, and overrun by nature. 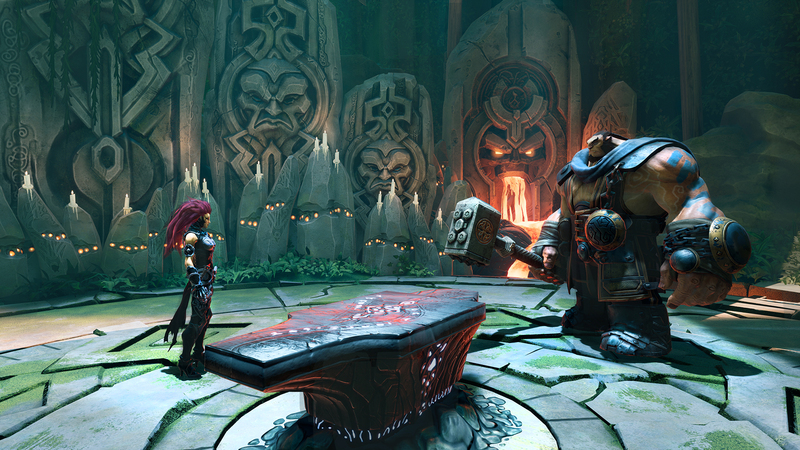 Fury will move back and forth between environments to uncover secrets while advancing the Darksiders III story. Darksiders III definitely sounds like the game fans have been waiting for for years!